We’ve had an old fashioned Vermont winter this year, and like most, I’m about ready for spring. The thing is, Mother Nature dances to her own tune. As an artist who appreciates truth, integrity, and independence, I gotta respect her whims. Thanks to my good friend Doug Ferguson for the fine photo reference! 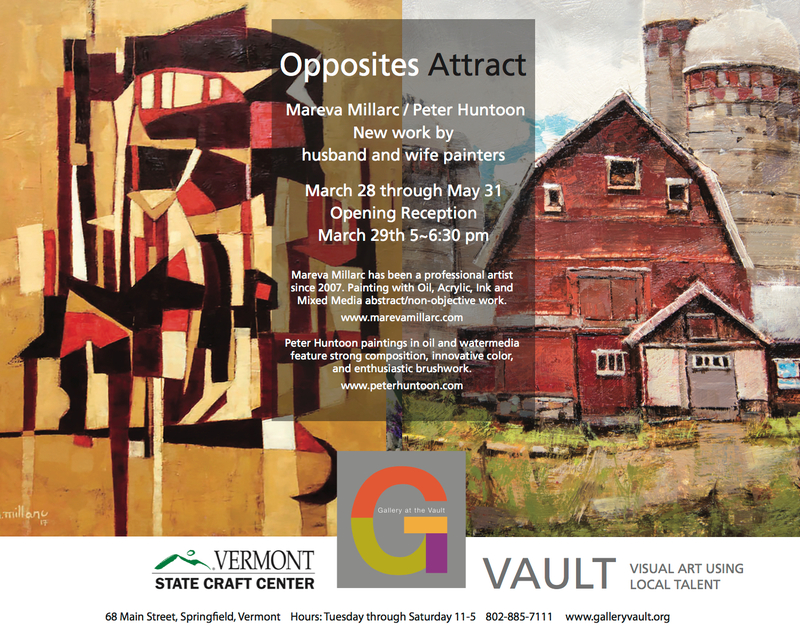 Gallery at the VAULT, in Springfield Vermont, is proud to present “Opposites Attract”, a show of new work by husband and wife painters Mareva Millarc and Peter Huntoon from March 28 through May 31. You are invited to the opening reception on Thursday, March 29 from 5:00 pm to 6:30 pm. Enjoy some refreshments while meeting Peter and Mareva and seeing how two very different artists create and thrive individually, together. Mareva Millarc has been a professional artist since 2007. Painting with oil, acrylic, ink and mixed media, her abstract/non-objective works take the imagination on a compelling voyage through each piece. Highlighted by bold line work, organic and geometric shapes and a blend of paint layers, her work offers a versatile approach to the creative potential of each individual painting. 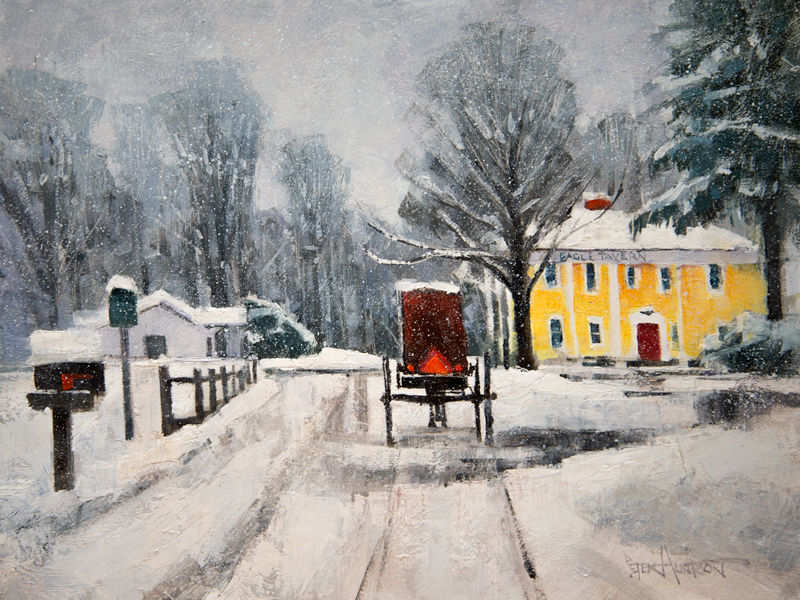 Peter Huntoon has been celebrating the beauty of Vermont in his award winning paintings for over 20 years. A life long passion for art and his native state are evident in his work. His distinctive paintings in oil and watermedia feature strong composition, innovative color, and enthusiastic brushwork. 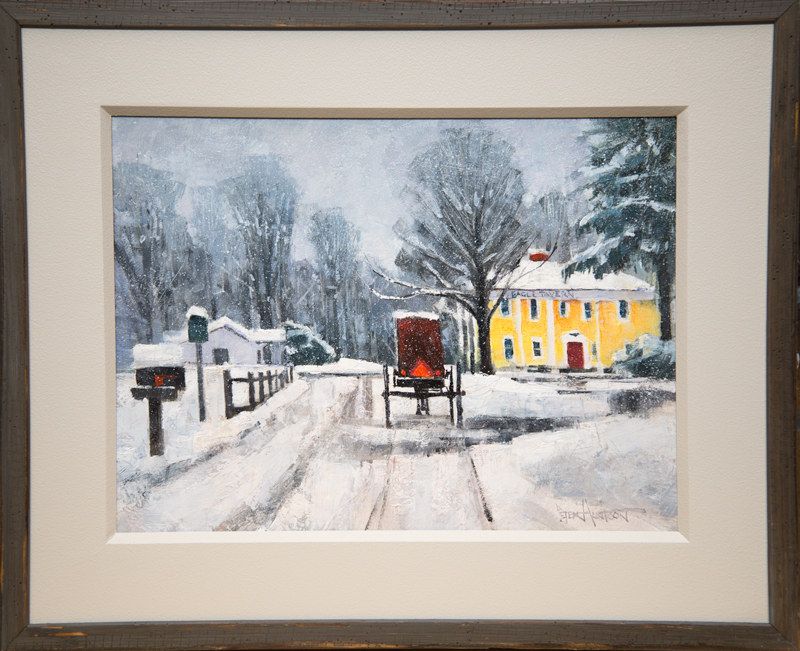 You may have seen Peter’s work in Vermont Magazine, watched him painting on Vermont PBS, or on WXAC’s Made in Vermont series. For more information please call or visit Gallery at the VAULT, 68 Main Street, Springfield. Open 11 to 5 Tuesday through Saturday. Contact: 802-885-7111, galleryvault@vermontel.net, www.galleryvault.org, www.marevamillarc.com, www.peterhuntoon.com. As you probably know, each month I draw two random Day in Vermont email subscribers to win a free print of their choice. Love it! Right in my backyard! Your paintings have made me so homesick for Vermont that I’m now planning a trip north this Spring with friends! You capture the area so well! Tx Ellen, please visit my studio if you can! A beautiful way to start my day! What a peaceful painting. Congratulations to the winners, too! 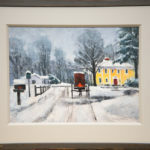 Love the sunshine house in this painting! Once again I enjoy comparing photo to painting. While the photo says “full-blown nor-easter”, the atmosphere and light of the painting hint of coming storm’s end and the soon to return sun. Love the way your strategic use of red leads the eye from mailbox flag to hazard triangle to door and then up to chimney where natural progession is then to the left through the darkest area in the near tree, across to tree trunks on left and back on down. Thanks Brian, yes, that repeating red was “discovered” en-route, and the “exploitation” of it became a critical compositional component. Very often, at least for this artist, that’s how it works. In other words…trust the process. The gift you have for capturing the true beauty what you are painting. Dear Peter, I LOVE your beautiful paintings! Thank you for the gift that you give in sending your email with your new paintings each week! Thank you for sharing your wonderful gift with our world! God bless you very much! What a fun photo reference and I love how you made it your own. I would come to the opening reception but we will be traveling. I will be sure to see the show though…congrats to you both! Another beautiful scene! 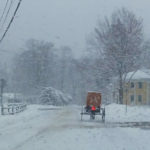 Nothing like Vermont anytime of year!!! Another beautiful picture. You do amazing work! Great news on the “Opposites Attract” show! Congrats, hope to see you both there Thurs. And yet another outstanding painting! Thanks Janet, please visit again when you return to the Green Mts! How lovely! Thank you for sharing, Peter! I live in Rupert VT not far from Poultney and know several people there ! Thanks for sharing your prints I love them ! As a summer resident i never get to see the loveliness of the snow. We pass the Tavern weekly on our way from Lake St Catherine to the transfer station. 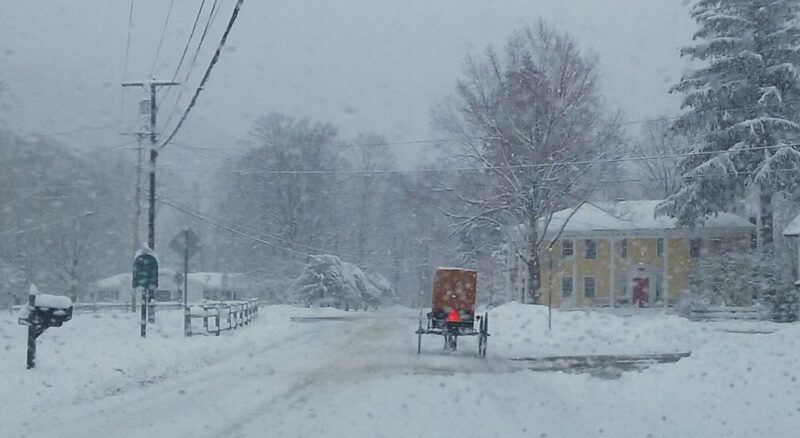 Thanks for keeping us in Vermont year round.